I hate "safe queens". So when I was making room in the safe I looked at my AK with disgust. I handn't shot it in months, and probably 2 years prior to that... Unacceptable. I needed something to add to the equation. What do you do to the rifle that almost never fails? You pull the trigger, it goes 'bang', a hole appears where you had the sights lined up. Repeat, it happens again. Believe it or not, it gets boring. The thing just always works. So why mess with a good thing? Because I can, that's why. 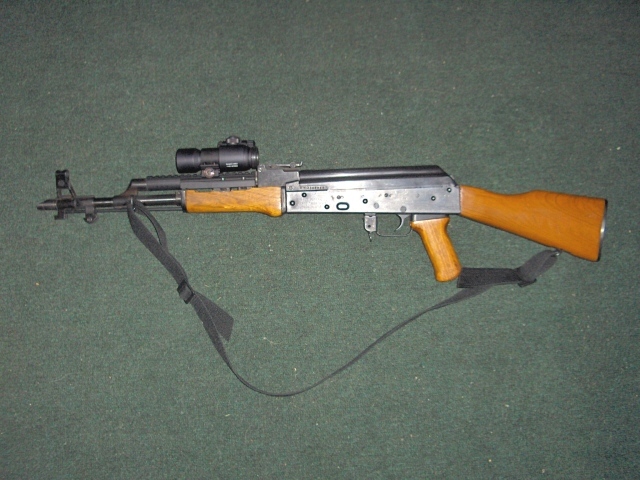 Here's addition number 1: An Ultimak replacement gas tube with Picatinny rail attachment which allows certain optics to "co-witness". This means that if you lose the red dot, or other reticle, you can still line up the iron sights through the optics. This is very important not only for practicality, but for accumulation of "Tactical Points" among your range buddies. I got this bit of wisdom from "His Tacticalness" himself! Trust me, that was a lot harder than it looks! I wasn't looking to mix and match parts, but with Ultimak's lower rail handguards running a couple of hundred bucks, I was looking for something che^^ more practical, allowing me to spend a few more dollars on preciously needed "Tactical Point" accumulating accessories. First, wouldn't you know that not only the original wood handguard, but the TDI lower rail handguard was not compatible with the Ultimak upper. 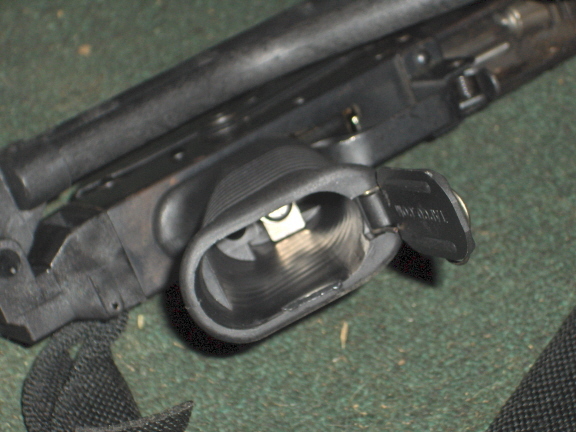 The latter attaches via 2 clamps over the barrel. The clamps secure with outboard allen head screws, which 'hit' the lower handguards. Both took quite a bit of "Dremeling" to relief sufficiently for assembly. Even after getting the reliefs cut, I still needed a few taps from a hammer to 'seat' the lower handguard into the receiver. Mental note: You get what you pay for. This in NO way means that the TDI lower is in any way inferior; Far from it, it is an excellent part, fits tight, doesn't move, provides an excellent platform - just that sometimes economy is the enemy of efficiency. In this case, the "2 vendor" approach caused me to have to do a little extra work. The work was worth it in my opinion, since the TDI lower rail handguards were around fifty bucks, as opposed to two hundred bucks. 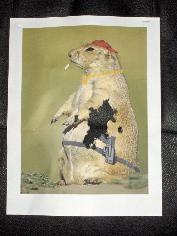 The Sight is a Red Dot, which I tested for Co-witness capability, and purchased from my good friends at Virginia Arms. It's an Aimpoint 2 MOA Red dot. 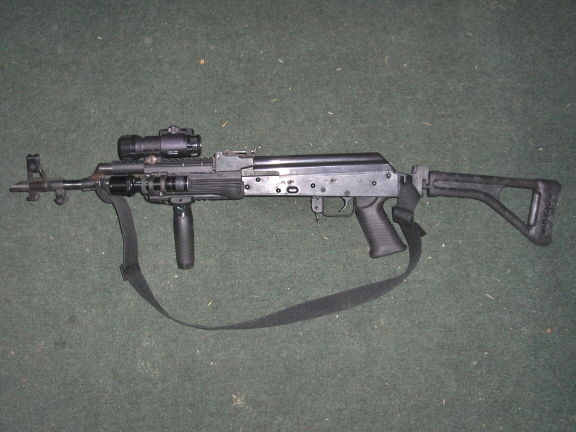 On the left side, is a Surefire C2 weapon light, in a VLTOR mount. The front grip holds 3 Surefire batteries and is rock solid. I'm still undecided on stocks yet. That's pretty tactical. You could fit a tactical folder knife in there! 01/13/06 - I'm no longer undecided on the grip / stock. The AK now has all black, and tactical furniture. At left is the Tapco AK "SAW" grip in the style of the M249 Squad Automatic Weapon. It's hollow to hold stuff, but more ergonomic than the original AK grip. 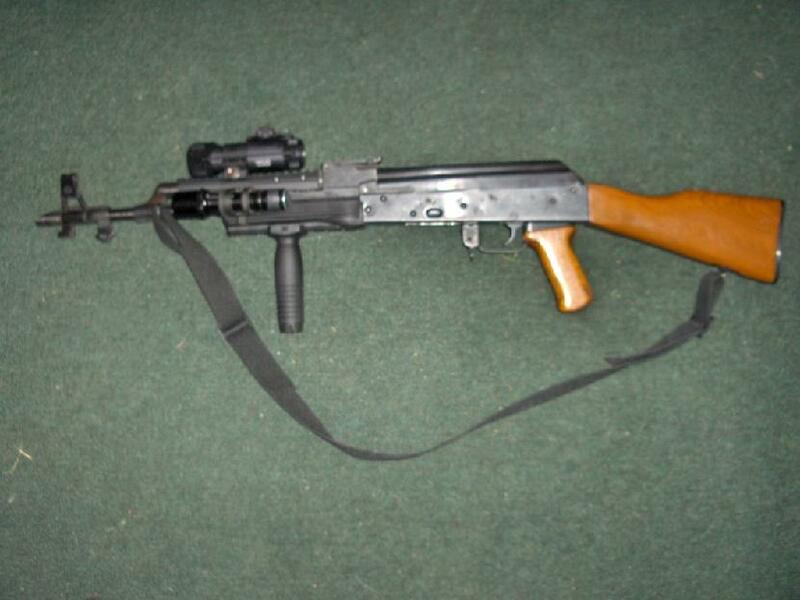 Here's the AK with the SAW grip and side folder Galil pattern stock. 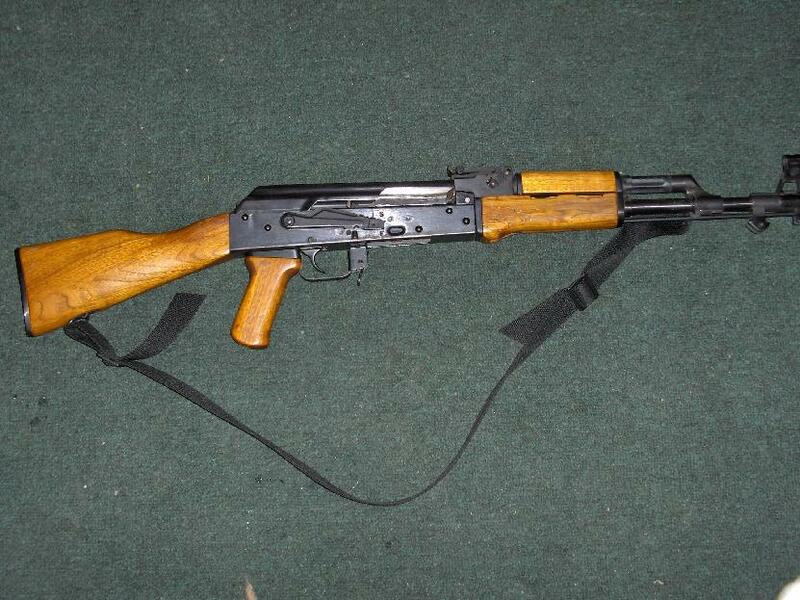 It's slightly longer than the original AK wood stock, and is surprisingly comfortable to shoot. Most important: It's tactical black !